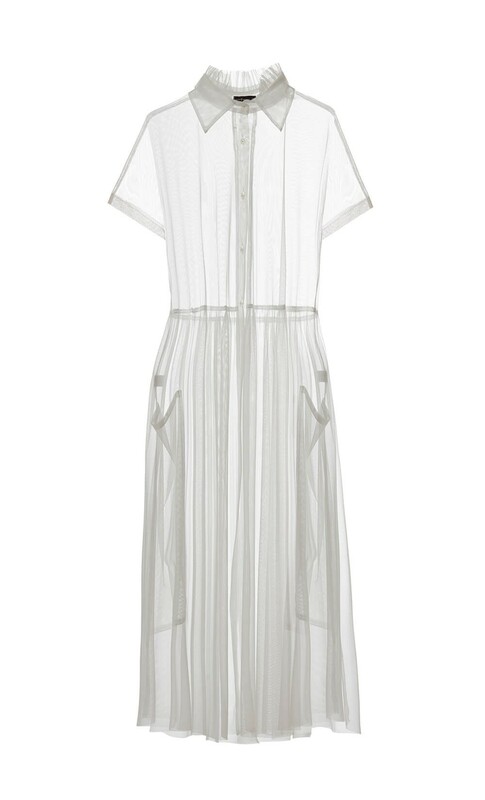 DORIN FRANKFURT's oversized tulle dress is an example of the refined simplicity the label is renowned for. The front pockets and loose silhouette provide a minimalist sensibility and the pointed collar is adorned with a ruffle and flower buttons. A must-have item for your Summer wardrobe, it can be worn as a dress or as a tunic with the collection’s tailored trousers. This clean-lined style is available in black and white.